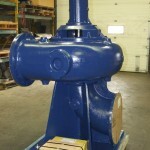 We service all Fairbanks Morse water and wastewater pumps. 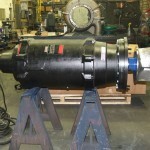 For pumps in the 5400 series (all models and sizes) and 5700 series (Angle Flow 10" through 30" T Frame & L Frame), we supply replacement parts for all assemblies, and/or complete replacement pumps, and most parts for 5900, 5500 and Westco pumps. 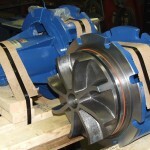 For all other Fairbanks Morse products, we manufacture and supply many or most parts and assemblies, from impellers, bearings & shafts, to bowls and miscellaneous wear parts. Just let us know what your current equipment specifications are, and we'll help you navigate the options and determine the cost effective solution that will save you money and time. 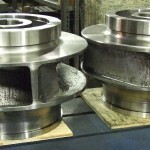 Call us at 1-800-268-5142 or use our online form to send us your specs.